Ready to put your creative mind into action? Toy around with 20+ new building blocks and more forthcoming. With Decorations Plus, you can toy around with 35+ decorative blocks. Get ready to experience the best creative mod ever! 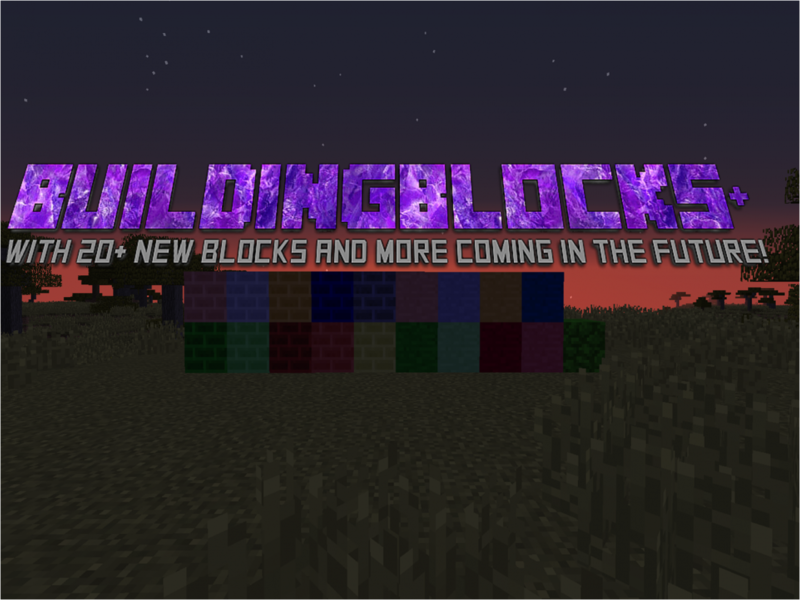 BuildingBlocks Plus!